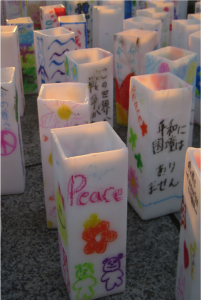 Inspired by the peace message delivered by Blessed John Paul II in Hiroshima in 1981, the Church in Japan has designated 10 days between Hiroshima memorial day (Aug. 6) to the memorial day of the end of WWII which is 15th August as a special period of prayer for peace. This period also includes the memorial day of Nagasaki (Aug. 9). ‘Ten days for Peace’ gives an opportunity to Christians to organize various peace programs. 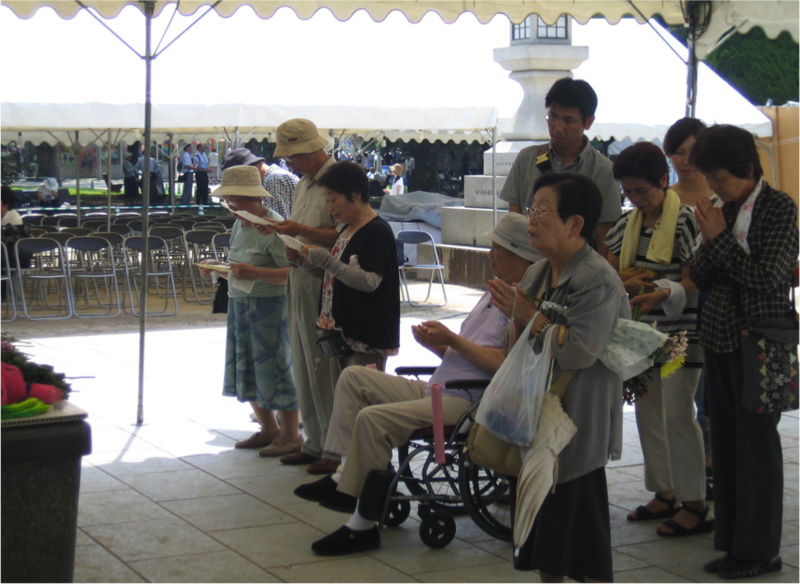 People from different parts of Japan and also from abroad come together not only to remember and pray for the war dead, but also to listen to the war experiences of the survivors of Hiroshima and Nagasaki. This week I was in Hiroshima to attend some of the peace events. At the Peace Memorial Church in Hiroshima, a well organized Mass for Peace, was celebrated by Bishop Maeda of Hiroshima. The distinguished guests were the Nuncio of Japan Archbishop Joseph Chennoth and Cardinal Turkson who heads the Pontifical Council for Justice & Peace. The Eucharistic celebration was well attended by the Bishops, priests, nuns, Catholics and Christians of different denominations. At the Peace Memorial Park, it was interesting to talk and listen to some children and adults, who braved the heat to sing, talk, dance and pray for peace. Just to be in the crowd and allow oneself to be bathed in that whole atmosphere in itself is an experience. The smell of incense, the sound of the gong and the offering of flowers make you think of the unforgettable past, remembered here the present while praying for a better future.